Incorporating specialty lighting will transform bare walls, lonely columns and dark areas to a more vibrant and colorful decorated room. Adding specialty lighting such as custom design uplighting, wedding cake downlighting or under cake or buffet table lighting will set the mood for your guests by incorporating unexpected elegance and ambiance for that wow factor! 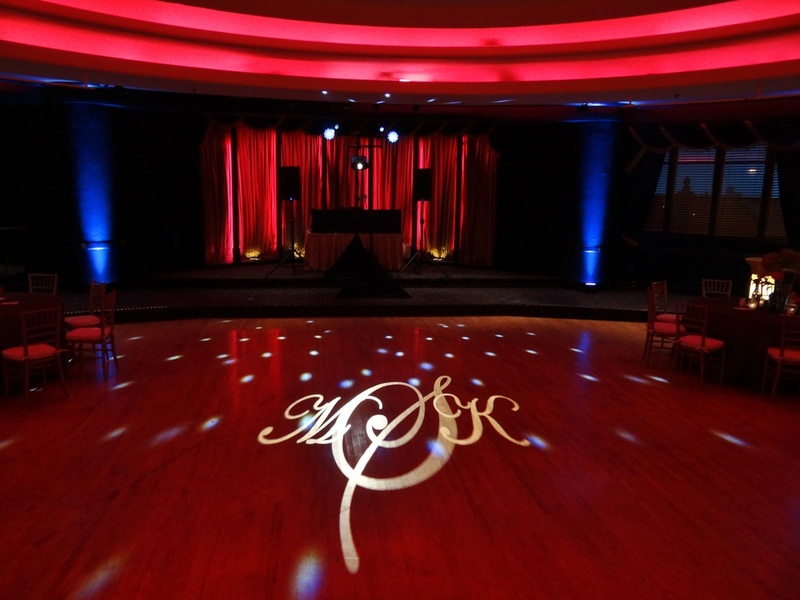 Some of our specialty "motion" lighting will create pizzazz and energy to your celebration. Incorporating the right lighting along with the right music will help insure your dance floor is packed during your celebration. 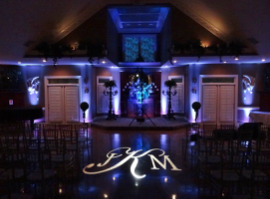 Our custom design uplighting fixtures can be dialed up to various colors of your choosing. They are super bright and only warm to the touch. We can even set these fixtures to move to the beat of the music and make the walls come alive! One of the latest trends is making the wedding cake "come alive" with two small brilliant white LEDs that are mounted on two separate skirted tripods that are stationed far apart on both sides of the cake and out of camera shot.